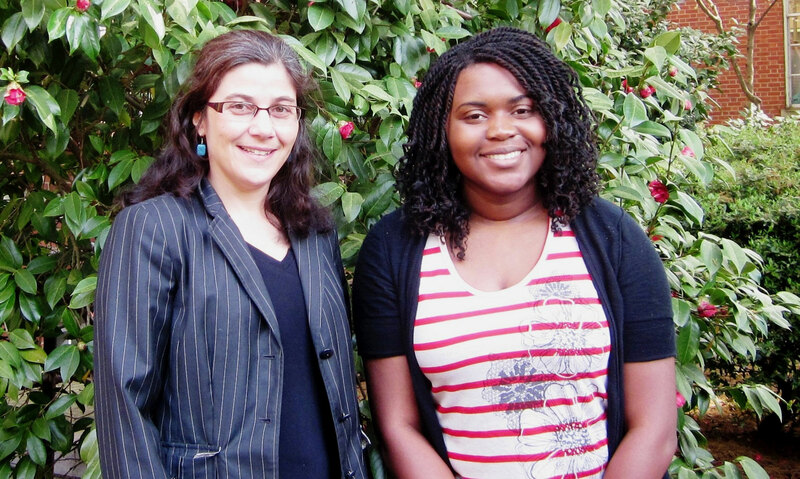 Athens, Ga. – A group of University of Georgia undergraduates has been named 2012 summer fellows by UGA’s Center for Undergraduate Research Opportunities. They are spending the summer engaged in faculty-guided research projects on a variety of topics. The participants earn academic credit and are invited to submit their research for presentation at the CURO Symposium, UGA’s annual spring research conference for undergraduates. Financial support for the CURO fellowships is provided by the Honors Program, the Office of the Provost, the Office of the Vice President for Instruction, the Office of the Vice President for Research, UGA’s Alumni Association, the Jane and Bill Young Summer Research Fellowship and the Shah Family Honors Student Support Fund. Among the 22 CURO summer fellows is David Parker of Roswell, who is conducting neuroscience research under the guidance of psychology professor Jennifer McDowell, co-director of UGA’s Cognitive and Clinical Neuroscience Laboratory. His project focuses on neural control of rapid eye movements. Pursuing bachelor’s degrees in cognitive science and philosophy, Parker would like to become a professor with a focus on the biological foundations of high-order cognition and consciousness. Ronke Olowojesiku of Acworth said that undergraduate research has given her a first-hand look into the career she would like to pursue-a doctor of infectious diseases. Starting out as a research volunteer in Nicole Gottdenker’s pathology laboratory in UGA’s College of Veterinary Medicine last fall, she was involved in a research project by the spring. Now Olowojesiku, who is pursuing bachelor’s degrees in genetics and Spanish, is conducting her summer work at the Gorgas Memorial Institute for Health Studies in Panama with Gottdenker. She is studying the ecology and evolution of Chagas disease, an infectious disease that affects about nine million people, with the largest concentrations in Latin America. Anna Wilson of Fayetteville is exploring the dynamics of the Latino community in Roswell from a sociolinguistic perspective. English professor William Kretzschmar serves as her faculty mentor. “At times, it is difficult to balance research with other classes and employment, but undergraduate research has helped my time management and perseverance, as well as expanded my knowledge base,” said Wilson, a Spanish and linguistics double major. After graduation, Wilson would like to continue her involvement with the Latino community. For more information about UGA’s CURO summer fellows program, see http://curo.uga.edu.